It was our supper tonight. UMMMMM. Good! Try something new that tastes like the best pancakes you ever ate? Yes, it is new, and it is Gluten Free, especially great for me! No one else needs to know it’s a GF meal. John never guessed when it was served to us recently. Now I make it as a quick ‘go to’ meal, and he loves it! Stir and refrigerate for at least 2 hours. Cook in the usual manner on a hot griddle with sausages if desired. 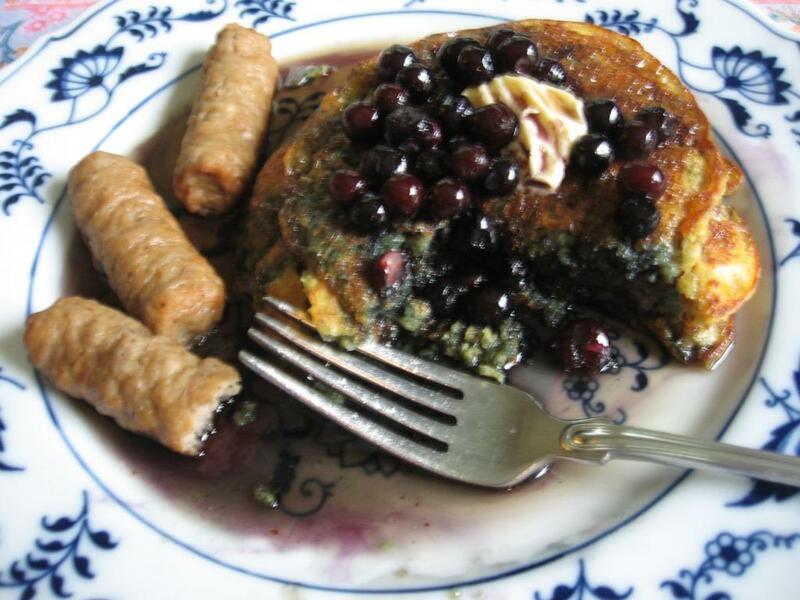 Serve piping hot with Vermont Maple syrup laced with 2 tablespoons of frozen Maine blueberries added until both are warm enough to melt butter on top of the pancakes. John and I just enjoyed this great last minute, healthy meal for an early supper. Give it a try!